CLARK AIR BASE, Pampanga – Defense Secretary Delfin Lorenzana on Tuesday (March 19, 2019) said that aside from donating thousands of spare parts and maintenance equipment for the Philippine Air Force’ UH-1 Huey helicopters, the Philippines is also looking to acquire radar systems and excess airplanes from the Japanese government. In a press briefing following the Philippine Air Force’ initial acceptance of spare parts and maintenance equipment for its UH-1 Huey aircraft donated by the Japanese government here, Lorenzana said all of these are still in the pipeline and still to be discussed with his Japanese counterpart, Defense Minister Gen Nakatani. “Wala pa [None yet, it’s still] on the pipeline pero marami pa tayong gustong kunin sa kanila [but there are many that we want to get from them],” Lorenzana said. “(Like) radar systems. airplanes na mga excess nila [which are their excess]. Kung meron silang excess airplanes pero pinaguusapan pa namin ng defense minister [If they have excess airplanes, but we are still discussing that with the defense minister],” he added. Lorenzana said if the plan pushes through, they are looking to acquire four to five radar systems from Japan which are among the best in the world. Meanwhile, Lorenzana said the spare parts and maintenance equipment donated to PAF were manufactured by the Japanese themselves. 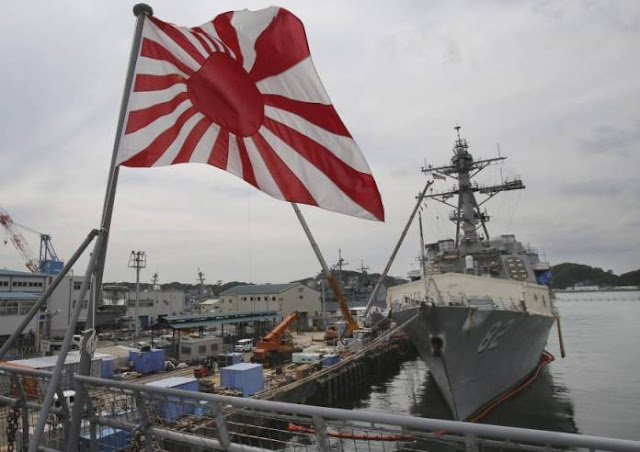 “”This is [these are] donated by the Japanese government because they are manufacturing these spare parts under license from the U.S.,” Lorenzana said. “Malaki na rin. Una pa lang ito, meron pang darating barko na, [Its already big. This is the first one, a ship will arrive], we will send a ship to bring them here,” he added. Lorenzana explained that the Japanese governments were able to give excess military equipment after changing their laws. “They have changed their laws dahil [because] before they are prohibited from exporting defense articles. So now they are authorized by their constitution so we are the first one to benefit,” Lorenzana said. Lorenzana also reiterated that the donation is not connected with China and issues concerning the South China Sea or West Philippine Sea..
“No. Even before this problem with China in the West Philippine Sea cropped up, we were already having a lot of interaction with the Japanese starting in the 1960’s pa. They’ve been giving us a lot of assistance with the JICA (Japan International Cooperation Agency), with everything. The initial spare parts and maintenance equipment received by PAF is worth about Yen 424 million or P200 million and weighs 16,187.60 lbs. The total amount of the whole spare parts that will be donated is approximately 5.3 billion yen (P2.5 billion) which covers the different systems such as the airframe structure, dynamic power system, control system, rotor system, hydraulic system, electrical system, instrument system, and accessory items. The remaining items are tentatively scheduled for shipment to the Philippines via a Philippine Navy vessel on August 2019. The initial spare parts the C-130 picked last March 11 to 13 will be able to recover two UH-1 on time for additional CUH (Combat Utility Helicopters) ready to perform missions such as Humanitarian Assistance and Disaster Response (HADR), transport, intelligence, surveillance and reconnaissance activity of the PAF. Other spare parts will be utilized to a readily available UH-IH to maintain and increase higher operational readiness of the PAF. The turn-over ceremony is the culmination of the discussions and agreements between the governments of Japan and the Philippines which began in 2017 when the JMOD (Japan Ministry of Defense) signified its intent to donate excess UH-1H parts and maintenance equipment. The Exchange of Notes for the grant was signed by Philippine Foreign Affairs Secretary Teodoro Locsin Jr. and Japanese Ambassador to the Philippines Koji Haneda on November 7, 2018. A ceremonial signing of turn-over of documents was held in Japan by JMOD on March 12, 2019, and attended by Defense Undersecretary Reynaldo D.V. Elefante and Assistant Secretary Jesus Rey R. Avilla.